Searching for CR-mimetics, scientists recently investigated the life span effects of a balanced amino acid mixture high in the branched chain amino acids found in whey. In keeping with earlier studies on other organisms, they found branched chain amino acids significantly increased life span in mice. This “superfood” provides all 18 amino acids, naturally occurring bioactive components such as immunoglobulins and lactoferrin, and a cysteine concentration over 4-fold higher than other proteins—all in a highly absorbable form. And whey is one of the greatest foods for maximizing glutathione, the endogenous antioxidant that quenches oxidative stress to inhibit diseases of aging. In addition to expanding life span, whey has been found to reduce muscle wasting in the elderly, reduce the risk of diabetes, inhibit cancer development, and defend against cognitive decline. It is surprising to learn that about 45% of older individuals in the general population—and 84% to 100% in residential care facilities—are not adequately nourished. This results from reduced appetite and food intake, impaired nutrient absorption, and age-related medical and social changes. In particular, an insufficient intake of quality protein can lead to loss of muscle mass, reduced strength, decreased bone mass, low immunity, cognitive impairment, and delayed wound and surgery recovery. Low protein intake is a strong independent predictor of mortality in aging people. This problem leads to the functional decline known as frailty, a recognized geriatric syndrome. A second unfortunate factor is that, although calorie restriction (CR) has been shown to have beneficial, health-and-longevity effects, long-term adherence requires a major commitment of will power—and its potential risks for the elderly have yet to be determined. These two factors together—reduced protein intake among the aging, and the unlikelihood that people will follow a CR regime—bring us to whey’s CR-mimetic effects. Providing the benefits of CR without a reduction in food intake has now become a hot area of investigation within gerontology. Whey is a potential solution. 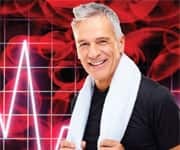 First, whey represents a high-quality protein supplement for aging persons—with a rich source of BCAAs to stimulate protein synthesis and inhibit protein breakdown. Second, whey delivers CR benefits—playing pivotal roles in hormone secretion and action, intracellular signaling, and regulation of gene transcription and translation. Let’s review some of these longevity studies. Scientists investigating calorie restriction mimetic compounds discovered that increasing the availability of the branched chain amino acids abundantly found in whey—leucine, isoleucine, and valine—increased life span in yeast (Saccharomyces cerevisiae). Then in a breakthrough study, scientists supplemented the diet of mice with a branched chain amino acids-enrichedmixture of amino acids, similar to the composition of whey. The test mice received the mixture daily beginning at nine months of age, which is middle-aged for mice. There was no significant change in maximum life span for any of the mice in the study. However, the median life span was 774 days for the untreated controls, and 869 days for the whey supplemented mice—an increase of more than 12% after starting the protocol only in middle age! In human terms, based on today’s life expectancy of 78.7 years, this median increase—even beginning supplementation only at midlife—translates to an additional 9.4 years of life! With no other intervention, the whey-protein mice improved both their glucose tolerance and insulin sensitivity. They also maintained lower weight and greater percentage of lean body mass, compared to control mice consuming the same daily calories but without the added whey. The team concluded that whey protein boosted metabolic rate in the test group and may be beneficial in preventing the development of type II diabetes. Another team found that whey remarkably decreases blood sugar without increasing insulin secretion. For non-diabetic individuals, taking protein along with oral glucose would normally decrease the usual rise in blood sugar. Researchers wondered whether whey protein could still lower blood glucose in humans diagnosed with insulin-resistant prediabetes—or whether, instead, their insulin resistance would blunt the hypoglycemic effect. They divided the human subjects into three groups according to level of insulin resistance. For eleven mornings, they gave 0,5, or 30 grams of protein (from whey protein concentrate) and canola oil to all participants along with doses of 50 grams of oral glucose. Whey significantly reduced blood glucose levels in all three categories of insulin resistance—yet the rate of insulin secretion was not affected. They concluded that, despite very high levels of insulin resistance in some of the individuals, whey was still able to decrease blood sugar levels. In a host of studies—all with similar conclusions—scientists have investigated pathways through which the proteins, peptides, and minerals in whey boost satiety, influence glucose homeostasis, and optimize lean body mass. The branched chain amino acids play an essential role in supporting lean muscle mass,especially among older adults. One trial compared diets high in leucine—abundant in whey—to calorie-equivalent diets high in carbohydrate. After 16 weeks, the leucine group lost 6.8 pounds more in total body weight, 7 pounds more in body fat—but lost 1.5 pounds less in lean body mass!